The global "shadow" banking system is unraveling, with dire consequences for financial assets and failed policies. We're not used to things falling apart, and so our first reaction is disorientation. 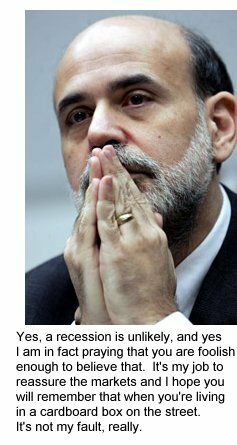 What we've been trained to expect by constant intervention in supposedly "open" markets is that Central States and central banks will "save the day" with a new intervention: an interest rate cut, a new round of money-printing, emergency loans, new bailout funds, the list has been almost endless since the initial evidence of the Great Unraveling appeared in 2007. Frankly, I am concerned that Wall Street is becoming little more than a glorified crack house. Day after day, the sole focus of Wall Street is on more sugar, stronger sugar, Big Bazookas of sugar, unlimited sugar, and anything that will get somebody to deliver the sugar faster. This is like offering a lollipop to quiet down a 2-year old throwing a tantrum, and expecting that the result will be fewer tantrums. What we have increasingly observed over the past decade is nothing but the gradual destruction of the ability of the financial markets to allocate capital for the benefit of future growth. By preventing the natural discipline of the markets to impose losses on poor stewards of capital, and to impose interest rates high enough to force debtors to allocate the capital usefully, the world's policy makers are increasingly wrecking the prospects for long-term economic growth. The problem with depending on intervention "sugar" for sustenance is that the market slowly loses its sensitivity to the mechanisms of control (insulin), and at some point the sugar no longer generates a response. We are very close to that point now, as the expected "grand EU treaty agreement" is duly issued as expected and global markets are holding their breath, hoping that some new intervention will keep the teetering financial system from falling over the edge. This is desperation. 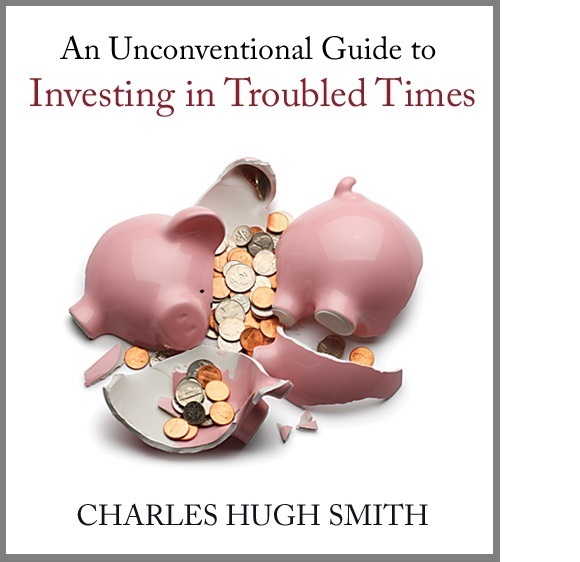 In market after market, participants don't really have any faith in the future resilience of the fundamentals which supposedly underpin global markets; rather, they are desperately hoping the next intervention will work better than the last one. But like insulin insensitivity, the market is on a one-way slide: every intervention works its magic for a shorter period of time, and markets respond with increasing torpor to the "fix." The next phase is chaos, as participants finally grasp that interventions will no longer save them. Then the mad rush to the exits (selling) will begin, and many will be trampled, as the bid will disappear across entire spectra of assets. 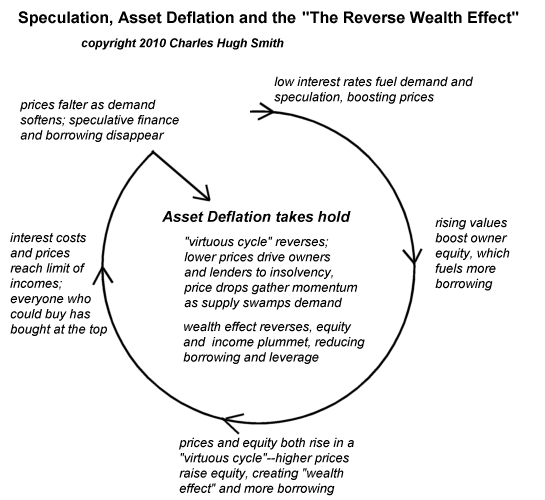 and the global financial system is still overleveraged and over-indebted, meaning that every decline in asset valuation triggers a "reverse wealth effect." As I type, the morning injection of hopium crack into the market's veins is already wearing off. We are still in the desperation stage, as central bank manipulators and Central State apparatchiks are rushing around in a panicky search for some new supply of "sugar" intervention to prop up what has been unsustainable since 2007. The manipulations have one ironic accomplishment: the resulting crash will be larger and more chaotic than the one in 2008 because the faith that State/central bank interventions are limitless magic will have been irrevocably lost. Thank you, Tyrone B. ($5/mo), for your formidably generous subscription to this site-- I am greatly honored by your support and readership.